The last few years I’ve been focusing most of my crafty energy on my knitting and crocheting but recently I’ve seen some really amazing embroidery and it got me inspired to pick up my linen and floss again. 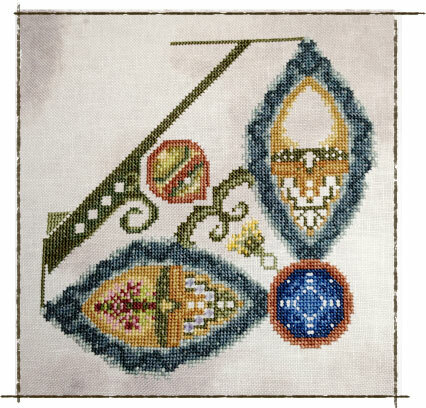 I just discovered Karen Ruane’s blog which has some beautiful embroidery. I especially love the notebooks she embroidered. And Evelin Kasikov’s mix of craft and graphic design really hits home for me. Check out the slideshow of her MA project. This just blew me away. Now I’m itching to make an embroidered book of my own. In the meantime I picked up this mandala design by Martina Rosenberg that I had started quite a while ago. Above is my WIP but you can see the full design on her website. I’ve been wanting to try my hand at some intarsia for a while now but having muddled at my short-lived attempt at stranded color work (too fiddly) I wasn’t sure I’d enjoy it. But I’ve had several Stephen West designs in my Ravelry queue for a while now and I just conveniently happened to have 226 yards of leftover Noro Sock yarn in my stash which is only 4 yards short of the 230 yards required for the Spectra Scarf pattern so I think it was meant to be. I took my Noro to my LYS and found a good matching skein of the Madeline Tosh Merino Light (currently my favorite yarn!) and can happily say that so far my first attempt at intarsia is quite enjoyable. 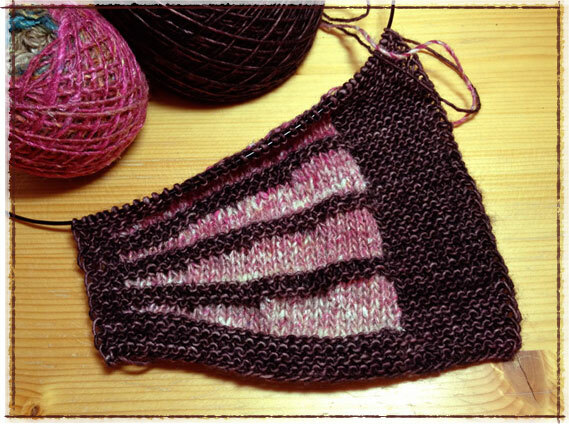 Although this is probably about as easy as intarsia can get since you only have to wrap your two colors of yarn on one end due to short rows on the other. Even though this is a simple-looking pattern, it’s very cleverly written. 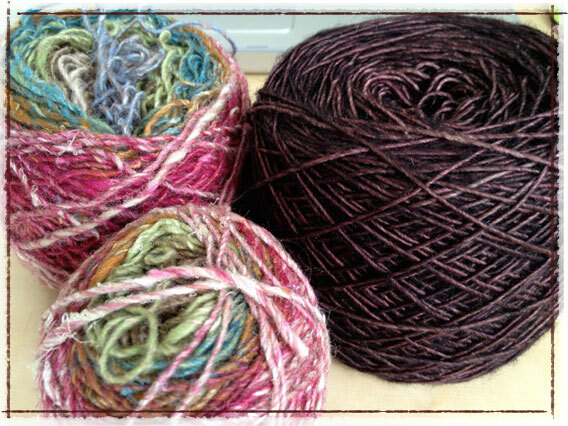 No doubt I’ll be knitting up a few other Stephen West designs in the not-too-distant future. What’s a Wool-Lover to Do? 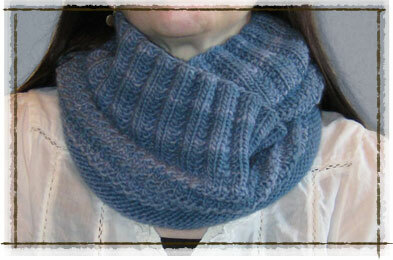 OK, so I knit this big wooly cowl several months ago and absolutely love it. 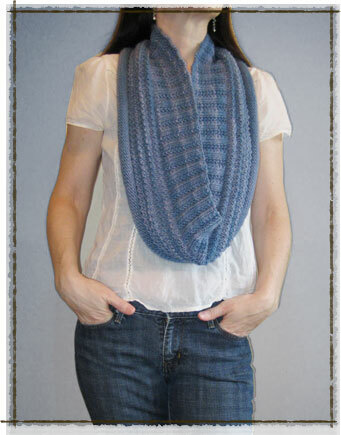 I mean what’s not to love – nice soft Malabrigo worsted knitted in the round in a big eternal circle with lots of yummy textures that snuggles up nice and scrunchy or hangs more like a scarf.